Probability theory is the branch of mathematics concerned with analysis of random phenomena. The central objects of probability theory are random variables, stochastic processes, and events: mathematical abstractions of non-deterministic events or measured quantities that may either be single occurrences or happen over time in an apparently random fashion. As a mathematical foundation for statistics, probability theory is essential to many human activities that involve quantitative analysis of large sets of data. Methods of probability theory also apply to description of complex systems given only partial knowledge of their state, as in statistical mechanics. A great discovery of twentieth century physics was the probabilistic nature of physical phenomena at atomic scales, described in quantum mechanics. The mathematical theory of probability has its roots in attempts to analyse games of chance by Gerolamo Cardano in the sixteenth century, and by Pierre de Fermat and Blaise Pascal in the seventeenth century (for example the "problem of points"). Although an individual coin toss or the roll of a die is random event, if repeated many times the sequence of random events will exhibit certain statistical patterns, which can be studied and predicted. Two representative mathematical results describing such patterns are the law of large numbers and the central limit theorem. 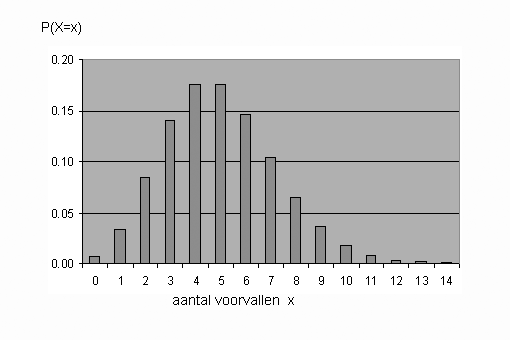 The Poisson distribution, a discrete probability distribution. 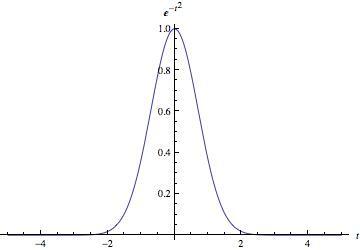 The normal distribution, a continuous probability distribution. Probability theory Facts for Kids. Kiddle Encyclopedia.